With Black History Month approaching in February, there will be many opportunities to learn more about the role of African Americans in shaping Albany’s history. While New York is widely known as a Free State, slavery was a reality in New York until 1827. In 1790, as many as 217 households in Albany County had enslaved people. At one time, Albany County had more enslaved people than any county in New York. Below are six local historical sites with an important story to tell about Albany’s past. Stephen Myers and his wife Harriet turned their Arbor Hill home into an important stop on the Underground Railroad. The Myers Residence welcomed freedom seekers and served as a meeting place for noted abolitionists throughout the 1800s. 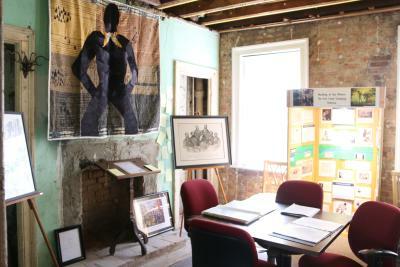 The Myers Residence is now run by the Underground Railroad History Project of the Capital Region. An exhibit titled, The Wedding of the Waters: Erie Canal and the Underground Railroad is currently on display and highlights the role that the Erie Canal played for freedom seekers headed north to Canada. For an inside look at the Myers Residence, check out this video by Spectrum News. 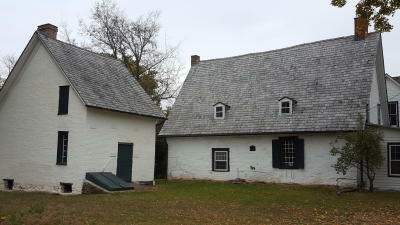 Crailo State Historic Site was built by Hendrick Van Rensselaer and now serves as a museum of Colonial New Netherland history. 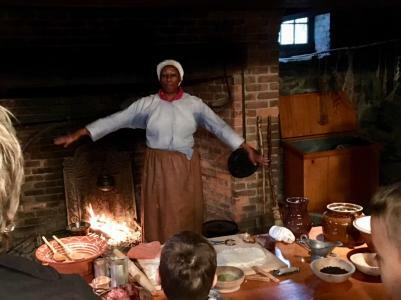 In the house&apos;s cellar, you can see where the house&apos;s enslaved slept and where many of them worked, as well as the cooking hearth and tools. In the spring, the mansion will be the site of the annual Pinkster Festival, a celebration with storytelling, food, music and dance. Once a Dutch holiday commemorating Pentecost, Pinkster became a distinctly African American holiday in the Hudson River Valley during the colonial era. 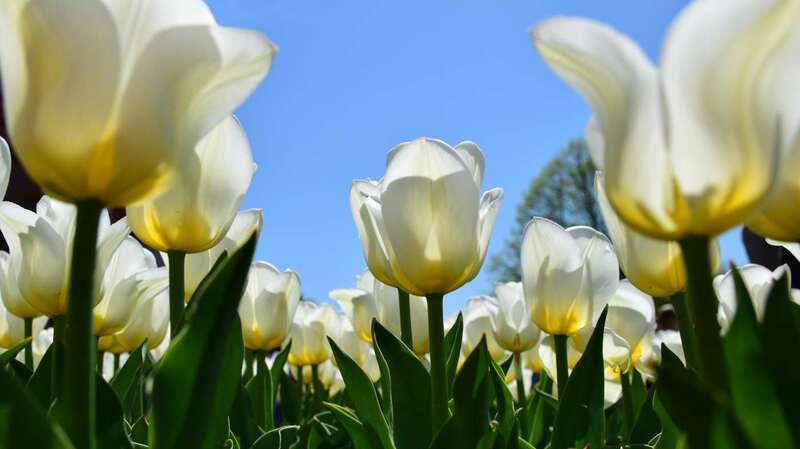 During the 17th and 18th centuries, enslaved and free African Americans transformed Pinkster from a Dutch religious observance into a spring festival and a celebration of African cultural traditions. Mabee Farm Historic Site currently has a traveling exhibit titled, "A Dishonorable Trade: Human Trafficking in the Dutch Atlantic World," on display from January - October, 2019. The exhibit focuses on the Dutch trade network in the Atlantic and the impact this had on the lives of enslaved Africans. This exhibit highlights the slaves owned by wealthy Dutch families, which is a largely untold story of Albany’s past. Revolutionary War General Philip Schuyler and his family lived at Schuyler Mansion. In 2005, the remains of 14 slaves were found at nearby Schuyler Flatts, the Schuyler family farm located north of the city of Menands. After a decade of researchers piecing together what little information about the slaves they could, the remains were honored at a special reburial ceremony in 2017 at Historic St. Agnes Cemetery. The historical site’s blog has a section dedicated to discussing the lives of the enslaved found here. 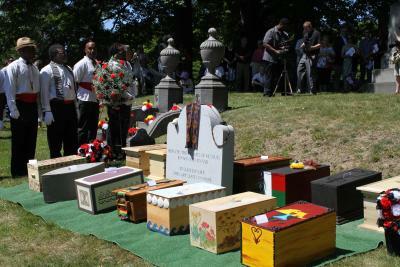 Today, the burial ground has been rededicated as the Historic African Burial Ground Site at Historic St. Agnes Cemetery. Ten Broeck Mansion, home to Revolutionary War General Abraham Ten Broeck and Elizabeth Van Rensselaer, displays the difference in status between the Dutch colonials and enslaved people. 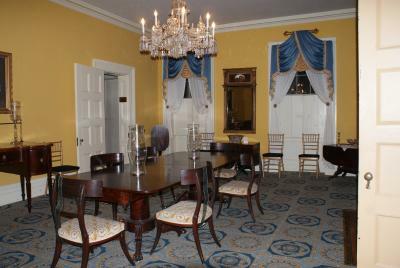 The attic, which mostly served as the slaves’ quarters, is a stark contrast from the rest of the mansion’s elegant interiors. Visit the mansion to wander the halls and imagine what it would have been like to live in this historic home over a century ago. Their Glory Can Never Fade: The Legacy of the Harlem Hellfighters is a special exhibit on display at the Vietnam Memorial Gallery in Abrams Building for Law and Justice until February 28, 2019. The exhibit chronicles the 369th Infantry Regiment, the first African American regiment of the New York National Guard. After serving 191 days of combat in France, longer than any American regiment of World War I, the German army nicknamed the soldiers “Hellfighters” due to their actions on the battlefield. Sgt. Henry Johnson, one of Albany&apos;s greatest war heroes, served in the 369th Infantry Regiment. (Bonus: You can also check out Sgt. 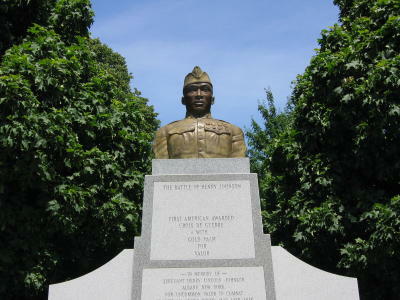 Henry Johnson&apos;s memorial in Albany&apos;s Washington Park).